I went to change the blade on my Record BS250 bandsaw and the lower set of bearings were locked solid, you could just about feel movement if you rocked them back and forth. 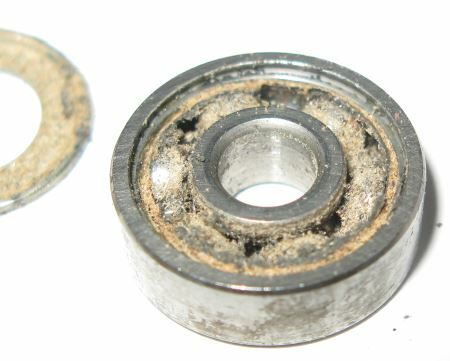 I removed the metal shields from the face of the bearings and as you can see they were full of sawdust. 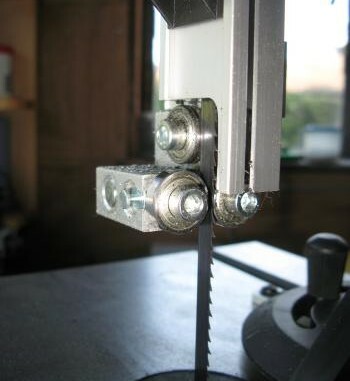 Interestingly all of the guide bearings on the bandsaw are shielded and not sealed. As these bearings are a standard size of 19 x 6 x 6 mm I thought it might be nice to replace these with sealed bearings to see if they work better and last longer. 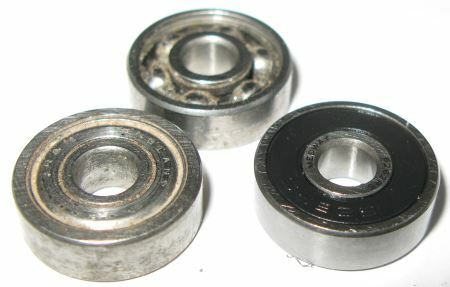 In the lower image you can see the two original bearings to the left and without the shield in the background along with a new sealed bearing on the right. The sealed bearing has a soft plastic cover, and being sealed I’m hoping that the sawdust will not get into the bearing itself.